Continuing my quest for testing all my untrieds it's time for Heart To Heart. 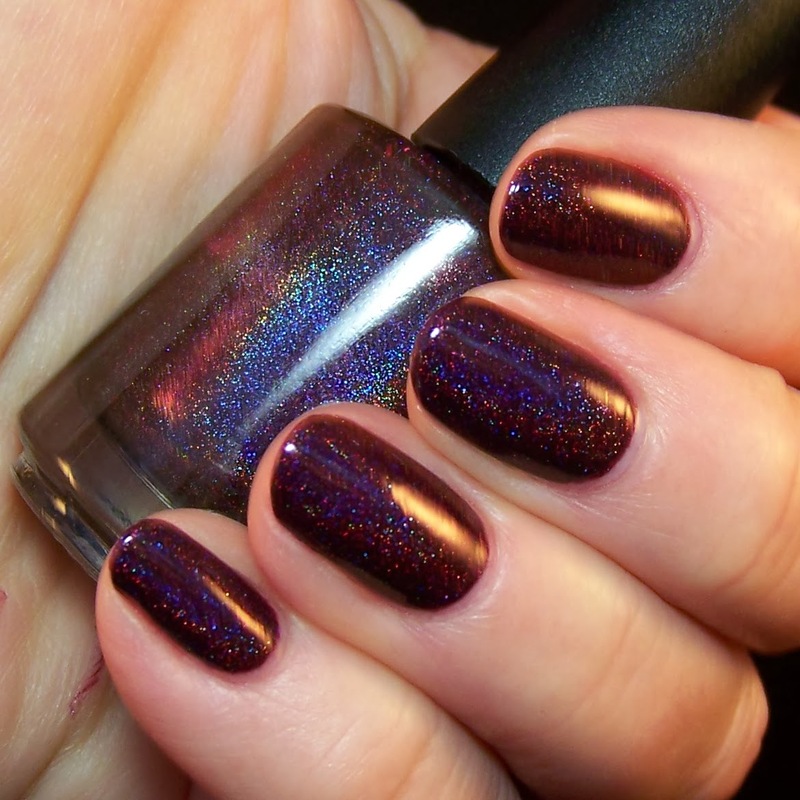 It is a deep, deep blood red nail polish with a blue flashing, linear holo effect. It is one of those polishes... Those polishes that are VERY difficult to catch the beauty of with a camera. 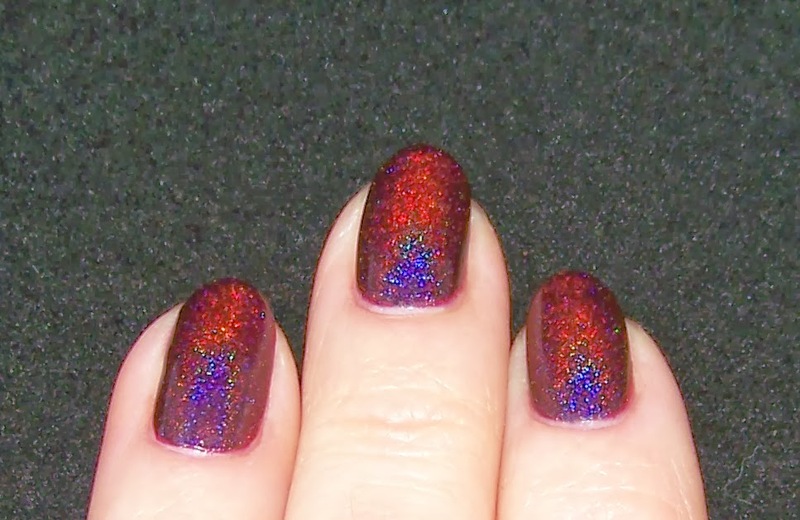 The almost jelly-lika red base does not show much, the holo effect shows a lot and is beautiful, but takes over the red a bit. 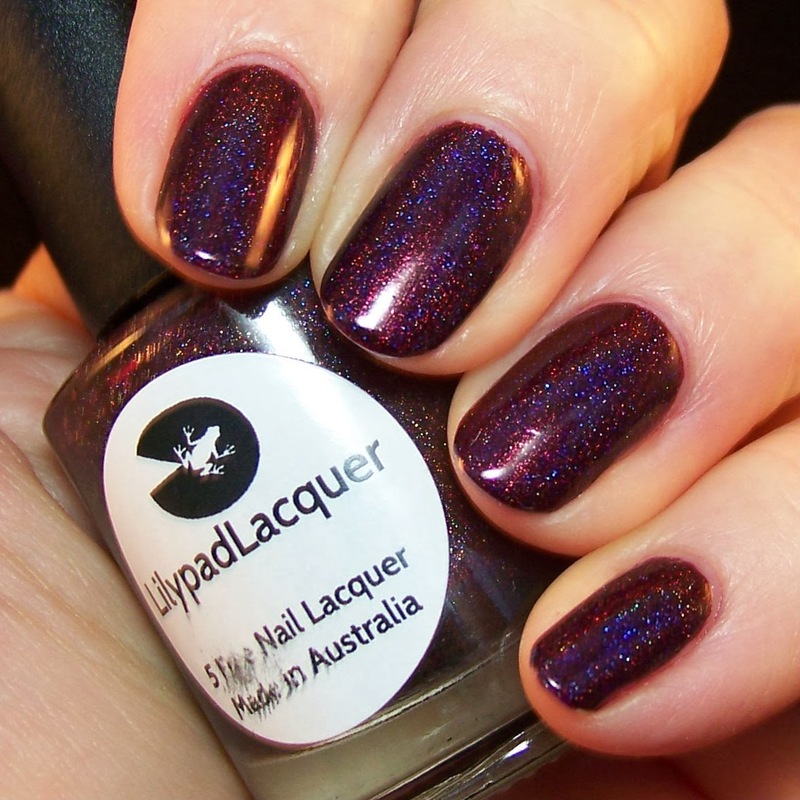 The holo effect is a bit less visible in ordinary lighting, like grey daylight or lamplight, than some of the other Lilypad holos, but the deep red color is more prominent instead. I don't mind. At all! 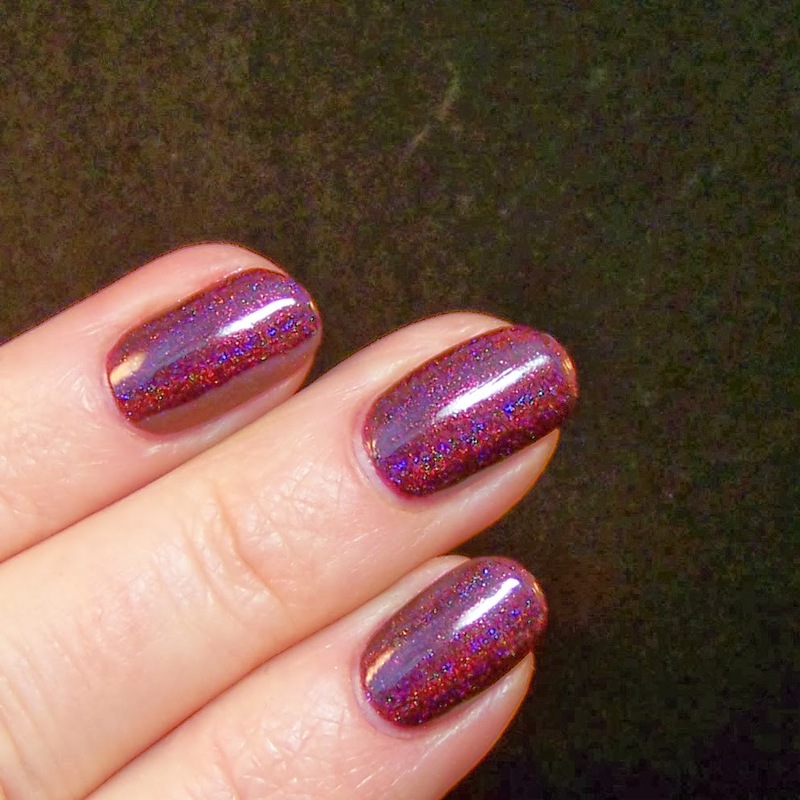 When I swatched Heart To Heart I was a bit worried that it might need three coats to be opaque, the base looked a bit jelly-ish. But behold, two coats were perfect and enough!